Amid all the troubling concerns about safety and security in Jerusalem, a good news story unfolded here on Oct. 20 at Midreshet Lindenbaum, a post-high school institute for women’s learning. 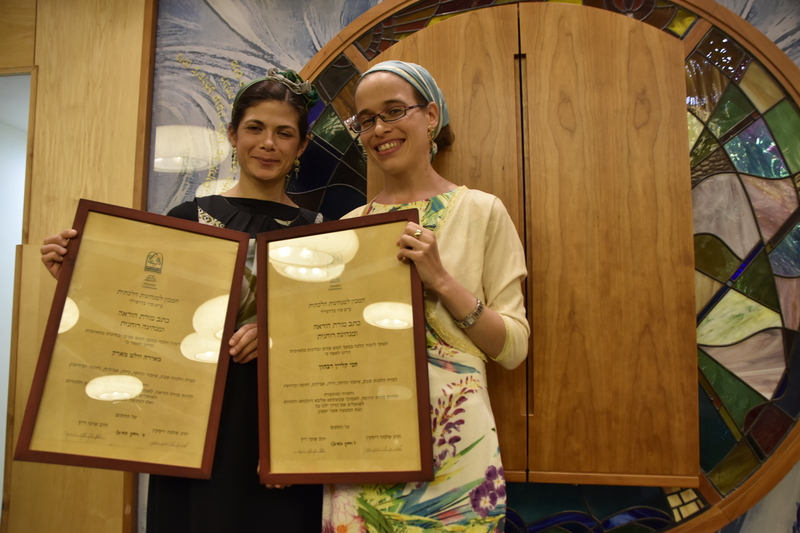 Over 300 people gathered to celebrate the graduation of Meira Welt Maarek and Chani Klein Ravhon from the Susi Bradfield Women’s Institute for Halakhic Leadership (WIHL). Like me, much of the crowd was there to celebrate an auspicious historic event.